A North Yorkshire-based company has supplied three high-specification shredders for use in SITA UK’s new Solid Recovered Fuel (SRF) plant. 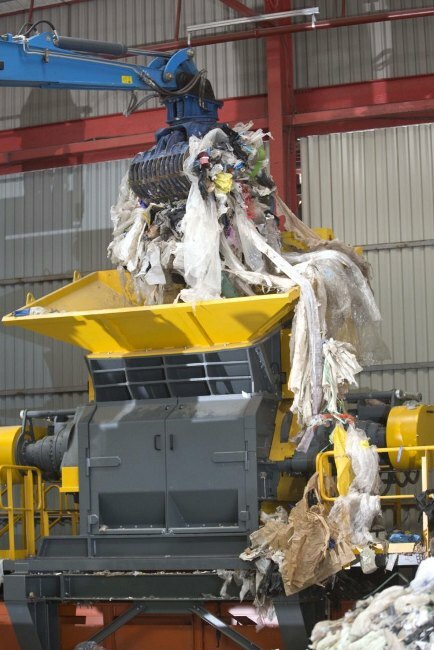 The UNTHA shredders will be located at the plant in Birmingham – part of SITA UK’s new Integrated Resource Recovery Centre – which will create up to 150 jobs once fully up and running. SITA UK has invested in the precise and powerful shredders – one XR pre shredder and two TR post shredders – to process commercial and industrial waste from the Midlands. Not only will this waste be diverted from landfill, it will also be converted into cement-grade SRF. The shredders will operate in conjunction with trommels, air shifters, magnets and eddy current separators to ensure the specification is achieved. A near infrared (NIR) unit will be used to measure output quality in real time and ensure the SRF has the correct chlorine, moisture content and calorific value. SITA UK’s new Integrated Resource Recovery Centre will divert up to 200,000 tonnes of waste from landfill every year through recycling and the production of SRF.